Hello there, friends. From my calendar reckoning, I wrote my last post on this site just 6 days before starting out on the adventure of a lifetime last September. 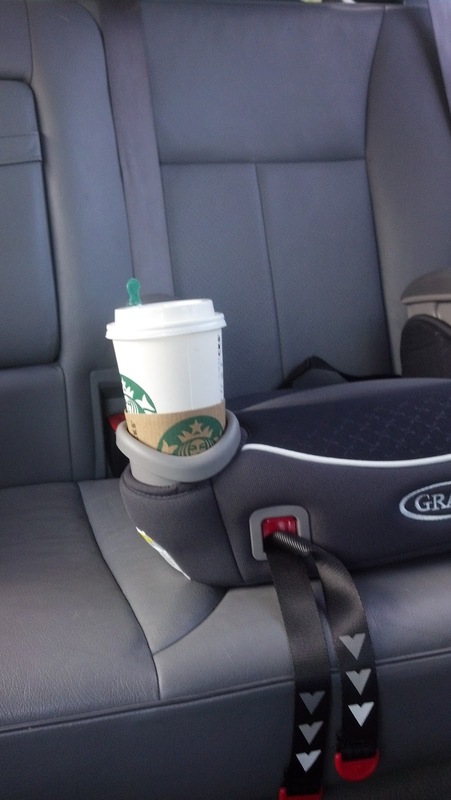 A lot has happened, so pull up a cup of your favorite beverage (perhaps stored in the cup holder of a booster seat, like mine was this past weekend - hey, necessity is the mother of invention, right? ), and let's catch up! In 2012, God started prodding the Hubs and I towards adoption. And like everything else God has ever asked us to do, it was go big or go home - and we went big! In November 2016, the adoption of 5 biologically-related siblings from Costa Rica was finalized, and after spending two months in the Central American country, we boarded an airplane in the middle of a hurricane on Thanksgiving day and flew home. It wasn't the end to months and years of planning for, fighting against, praying about, and finally submitting to the will of God, it was just the beginning. We just completed our first 6-month report for the adoption agency, and life is starting to find it's own rhythm. It's not always in tune, and it often leaves us feeling a bit queasy, but it's where God has taken us, and after years of praying that God would allow us to make an eternal impact, the final calling leaves us exhausted, but thankful... most days. While LIFE was happening, things like work, this blog, and a thing I remember calling, "free time" all went by the wayside. As we are slowly finding our footing as parents of five, we are also learning how to squeeze in time to do the things that we want and need to do - work on the cars, get caught up on laundry, sneak in a movie, write the occasional blog post. People keep telling me that I need to write a book about our adoption adventure - and maybe I will, when we're 20 years out and can see light at the end of the tunnel. For now, I'm hoping to kick start the blogging work again and see where it takes me. When I'm not busy learning how to be a mom (and taxi driver) to five ESL kids, I'm still dreaming of Paris, sneaking in trips through the Starbuck's drive-thru, and adding books to my nightstand for nights when I can keep my eyes open long enough to read a page or two. I'm also still soft-selling my work as a writer and editor (you can find that side of my life at my professional site), taking the occasional freelance job to help out with the myriad of expenses that pop up these days. Just so you know, I gobble up every word you write, either here or FB or the other blog or whatever. I love hearing what you're up to and all that you're learning. Maybe you should vlog?! Hi! Thank you for the update. I really enjoy reading your "busy nothings" and of the new adventures that your family is taking part of now that you are a family of seven. I hope you have a lovely day! I'm here, so I'm saying Hello! :) By the way, I happily volunteer my editing skills if/when you ever do write that book!